Now more than ever before energy conversation is at the forefront of everyone’s mind. Firstly you’re helping mother earth by not using up resources unnecessarily and secondly you’re also trying to save yourself as much money as possible by lowering your heating bill. This is a win-win for the Earth and for your bank balance too. And if you’re suspicious that there might be a leak somewhere in your central heating system then you should give ADI Leak Detection a call to track this down as soon as possible – especially because part of the leak could be carbon monoxide which can cause any number of health issues for your family. ADI use a wide range of state-of-the-art leak detection equipment such as thermal imaging cameras, pipe tracing equipment and nitrogen hydrogen leak tracing gas equipment. And the thermal imaging cameras are particularly important for troubleshooting central heating systems because they allow us to find “hot” or “cold” spots behind your walls or underneath your floors and without having to dig any holes. We make it our mission to provide the most non invasive leak detection possible in your home or business. 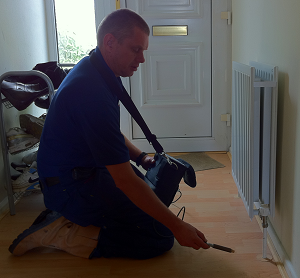 Central heating systems are complicated to troubleshoot and repair properly so you should only trust a specialist company like ADI with this type of work. 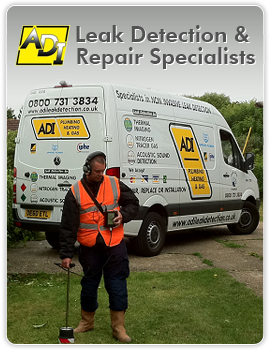 Our competitive pricing, commitment to customer service and very highly trained and qualified leak detection engineers make ADI the sensible choice when it comes down to it.